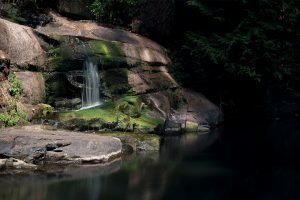 Our second waterfall in Nanaimo BC is in an incredible 36 hectare park right in the center of the city, Bowen Park. I was feeling a little bit nervous after our experience the previous week that we might not be able to find the waterfall, but the people of Nanaimo are super friendly and helpful and they pointed us in the right direction. 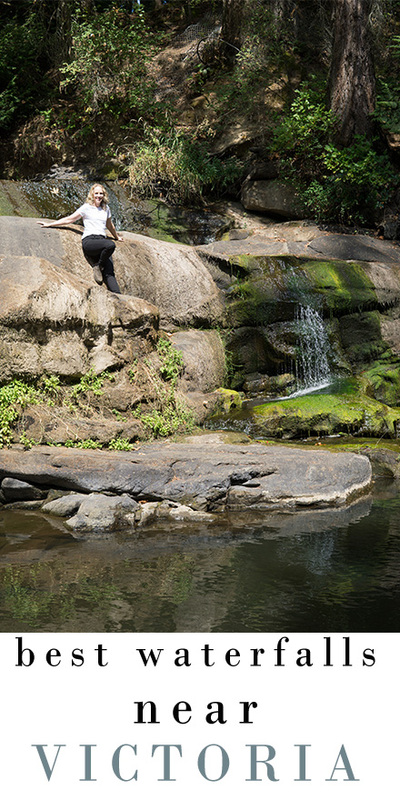 We followed the trails along Millstream river and made our way to the scenic waterfall. Because the water levels were low in the late summer, we were able to climb right up on top of the falls this time. The park itself is a beautiful in-city destination with lovely walking trails, picnic tables and an outdoor swimming pool. It reminded me a lot of Beacon Hill Park in Victoria BC. We walked back along the rhododendron grove which I am sure is amazing in the late spring and early summer.